Scattered showers and thunderstorms. High 76F. Winds SE at 10 to 20 mph. Chance of rain 60%..
Thunderstorms likely in the evening. Then the chance of scattered thunderstorms later on. Low 63F. Winds SSE at 10 to 15 mph. Chance of rain 80%. Roy de Romero discusses his painting of Waco’s founder, Jacob de Cordova. It is now on display at the Cen-Tex Hispanic Chamber of Commerce office at 915 La Salle Ave. The painting is a representation of the city and the time before de Cordova as it is a representation of de Cordova, he said. Roy de Romero, a Waco artist, discusses the significance of his painting of Jacob de Cordova, which will be held at the Cen-Tex Hispanic Chamber of Commerce. Waco artist Roy de Romero (left) and Alfred Solano, president and CEO of the Cen-Tex Hispanic Chamber of Commerce, discuss de Romero’s painting of Waco’s founder, Jacob de Cordova. An 1849 Milam County land grant features Jacob de Cordova’s signature. A new painting of Jacob de Cordova has been delivered to the Cen-Tex Hispanic Chamber of Commerce as a sign of recognition for the founder of Waco. Roy de Romero, an artist who has lived in Waco his entire life, painted de Cordova standing in front of important historical elements of the area. It was featured in the September exhibit “Hispanic Heritage” at the Art Forum of Waco, but at least for now, the likeness of the city’s first advocate has a new home. The Huaco Indians, Waco’s first surveyors, the Waco Suspension Bridge and sections of Waco’s modern skyline are featured as a product of de Cordova’s work. 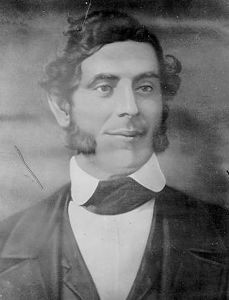 De Cordova, who lived from 1808 to 1868, founded Waco in 1848 and 1849 with two other men, according to the Texas State Historical Association. His father was a Jewish coffee grower and exporter of Spanish descent, and he was raised by his aunt because his mother died during childbirth in Jamaica. He became proficient in English, French, Spanish, German and Hebrew, according to the historical association. He started a newspaper in Kingston, Jamaica, went to New Orleans in 1836 and visited the Republic of Texas after the Battle of San Jacinto. He later served in the Texas Legislature and owned a successful land agency. De Cordova was known to give speeches in the Northeast, persuading residents there to move to Texas. Alfred Solano, president and CEO of the Cen-Tex Hispanic Chamber of Commerce, said the painting of de Cordova is the perfect addition to the chamber’s building on La Salle Avenue. De Romero, Solano and Monica Shannon, the executive director of Texas Fine Artists, mused this week about why de Cordova seems to be a forgotten figure in history, at least in their own informal surveys with Waco residents today. Did his diverse heritage disqualify him from greater accomplishments? Has he just not been honored properly for his contributions to Central Texas? “I felt kind of silly to say, ‘Who is that?’ ” Shannon said, referring to when she learned of de Cordova about five years ago while meeting de Romero. De Romero was working on a series of historical icons when, through his own research, he discovered de Cordova. According to the Texas Collection at Baylor University, de Cordova’s debts were paid off through his land holdings being spread across 48 Texas counties. Much was sold for 25 cents an acre: “rich man’s land for a poor man’s price,” settlers said, according to the research. De Cordova also owned the land along the Brazos River that will soon become a development known as the Brazos Promenade. The city of Waco will lease the 16 acres to the developers, who plan to build a full-service hotel, an apartment building and much more. Ultimately, the painting, “Jacob De Cordova — Founding Father of Waco,” is for the city, de Romero said.